Blue topaz and 9ct white gold combined for an exquisite pendant necklace. The white gold wraps elegantly around the topaz for a stylish finish. 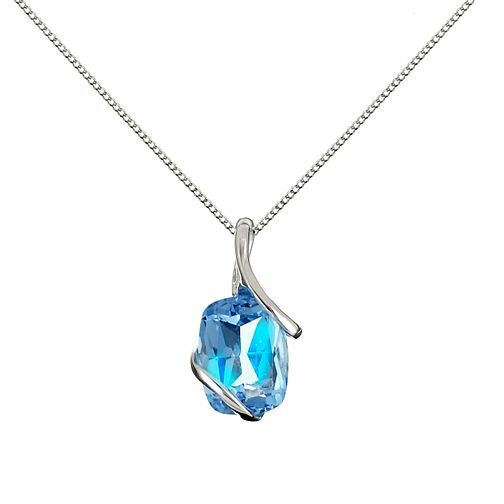 9ct White Gold Topaz Pendant Necklace is rated 4.5 out of 5 by 17. Rated 4 out of 5 by Anonymous from very nice and well worth the price! the topaz shines very nice in the light! and is a decent size, I expected it to be smaller! my only fault is the chain, its very thin and my clumsy partner will probably break it but still looks amazing! Rated 4 out of 5 by Anonymous from Best item i ve brought Very please with this item, Overall happy with dispatched time it arrived to me. I brought this for my partner birthday present. I hope she really like it.